While the digital revolution started sometime during the late 50s, its impact on our daily lives became more apparent in the last decade or so. The reason for this has been due to the widespread adoption of mobile devices and easier access to the Internet. This adoption has also led to another trend – connected devices. Today, people use several devices on a day-to-day basis and seamlessly switch between them while performing different activities. All this and several other factors such as reduced attention span due to information overexposure and availability of multiple options to choose any product or service has led to a situation where effectively engaging and retaining a customer has become absolutely crucial in making or breaking a business. So how does one go about making the right decisions that are good for business? Back in 2005 Roger Mougalas from O’Reilly Media coined the term ‘big data’ for the first time. It referred to large sets of data that are virtually impossible to handle using conventional business intelligence technology. Today, it is said that 2.5 quintillion bytes of data are being produced every day and with constantly evolving technologies and faster computing speeds, this number will increase further. In 2011 McKinsey published a report titled “Big Data: The next frontier for innovation, competition, and productivity” and the title alone is enough to indicate without a shadow of a doubt that data is certainly the new oil. Governments from all around the world and companies of all sizes are actively getting engaged with big data projects because all this data has a story to tell that has the potential to transform business operations for the better. 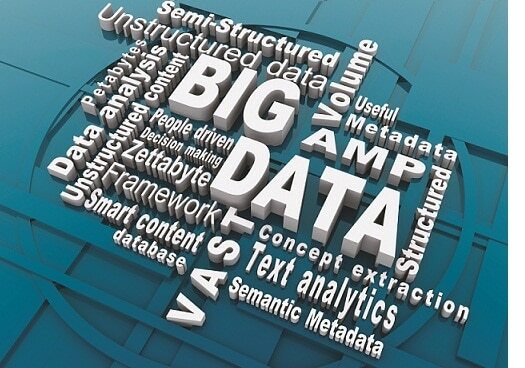 All this has led to big data analytics gaining a lot of significance in the recent times. Its integration with businesses helps in adding value at every possible stage of a sales/user journey because of the 360 degree insights that can be derived from all the channels (mobile, web, physical locations, social media, etc.) and devices involved. These insights can be used to then tweak, remodel, or even come up with new initiatives that will improve and optimize business models, products, and services. In the banking and finance industry, big data is expected to become one of the key drivers for innovation that will help banks improve their performance. Based on the latest update (as of 2018) of the ‘Worldwide Semiannual Big Data and Analytics Spending Guide” from IDC, worldwide revenues for big data and business analytics (BDA) solutions is expected to reach $260 billion in 2022 with a compound annual growth rate of 11.9% over the 2017-2022 forecast period. The industries making the largest investment in big data and business analytics solutions throughout the forecast are banking, discrete manufacturing, process manufacturing, professional services, and federal/central government. This trend proves that business initiatives driven by actionable insights provided from big data analytics will pave the way for success. Another McKinsey report called “Analytics in banking: Time to realize the value” highlights that in some regions, up to 65 percent of customers now interact with their banks via multiple digital channels. This often leads to overlapping interactions with the same customer across multiple channels and formats. Banks now realize that it has become imperative to deliver consistent, relevant, and eventually, delightful banking experiences seamlessly across multiple channels to engage and retain customers. And big data analytics plays a big role in understanding the customer’s activity and expectations in real-time and deliver bespoke offerings at all stages of the user journey. There are 3 defining aspects to big data or more popularly known as the 3Vs – volume of data, variety in the types of data being collected, and velocity in which data is being processed. For banks, this implies that they can leverage the findings from big data analysis to study spending patterns and identify key channels on which transactions are taking place to aptly cross-sell products and services to customers that segmented based on different user personas. These findings could also be used for risk assessment, compliance and reporting, and customer feedback management, and approving or denying a loan amongst others. IBM claims that today’s retail and institutional banking customers are more empowered than ever before. Their improved accessibility to information means that they can compare products in seconds and make decisions spontaneously, especially through mobile apps offered by banks and financial institutions. This has considerably lowered the window of opportunity and it simply means that banks have mere seconds to convince customers the value of their offerings. Hence, they need all the customer insights that can help to improve operational excellence. Analytics for app usage is also actively helping banks determine which aspects of their apps are most engaging for users, thus leading to enhancements and updates to address the findings. By delivering personalized, real-time, and value generating offerings, banks can maximize their performance and improve customer retention by leaps and bounds. For example, Lloyds Banking Group has partnered with a U.S. artificial intelligence (AI) start-up ‘Pindrop’ to use its technology to detect fraudulent phone calls in 2016. Pindrop is a technology that uses takes into account large amounts of data to learn the difference between a legitimate and fraudulent call. Pindrop is designed to identify several features of a voice from a phone call such as location, background noise, number history, etc., that can help in creating an audio fingerprint which in turn can be used to highlight unusual activity and identify potential fraud. The list of banks and financial institutions around the world that is heavily integrating big data analytics into their operations is growing day by day. Going forward, it is clear that big data analytics’ role in banks and other businesses will further evolve with the advancement of technology. The large amount of data being analyzed has the potential to eventually change the way we live and carry out our lives (automation, predictive reactions and responses to possible scenarios, and so on) and big data analytics will serve as the next step in ensuring truly personalized and secure banking experiences and operations. The Power of Big Data Analytics in Delivering Transformative Banking Experiences 0 out of 5 based on 0 ratings. 0 user reviews. Really awesome article, great efforts. That is true that Big data has really transformed the way banking sectore was working traditionally. Big data is really a boon for banking sectors and this sector carries a lot of confidential data. I am very passionate about Big Data and really want to make a successful career in it.